There are so many learning activities you can do with apples, especially in the Fall season when apple picking is at its peak. 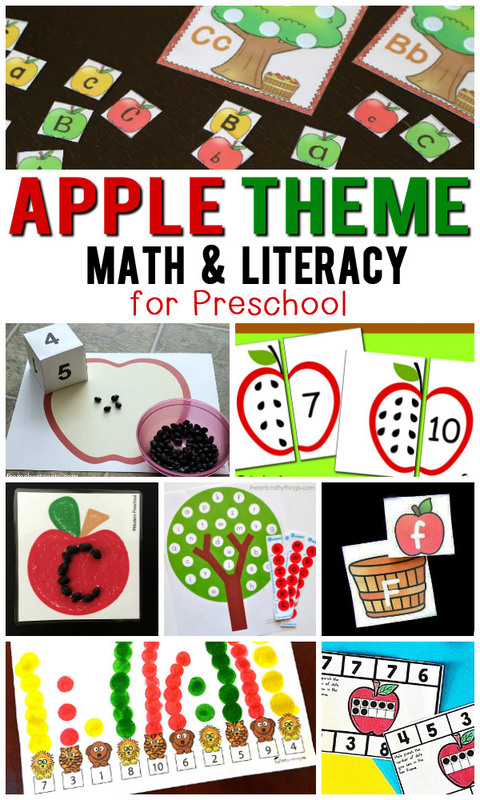 Today I'd like to share some of my favorite preschool math and literacy free printables with an apple theme! Yes! Ombre fabric is beautiful! What a lot of fun apple activities. Hi ! I love your work. I am not able to find the apple color gradient printable.Could you help? Hi ! I love your work. I am not able to find the apple color gradient printable.Could you help? Thank you very much! Hi, sorry for the late reply. That activity is no longer available. Your article is very meaningful, the content is also pretty and impressive, I hope the next time you will have more good articles and meaning to bring to the reader.